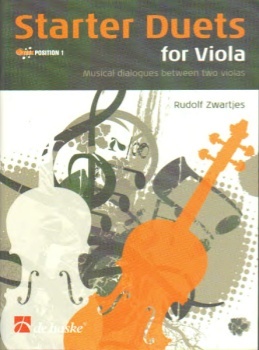 By Rudolf Zwartjes () - Starter Duets for Viola contains a few arrangements of traditional tunes, but mostly new compositions, inspired by the classical tradition - with some occasional contemporary elements. From the very beginning, these duests can be played alongside any viola method. The upper and lower parts are equal in terms of difficulty and musical expression.